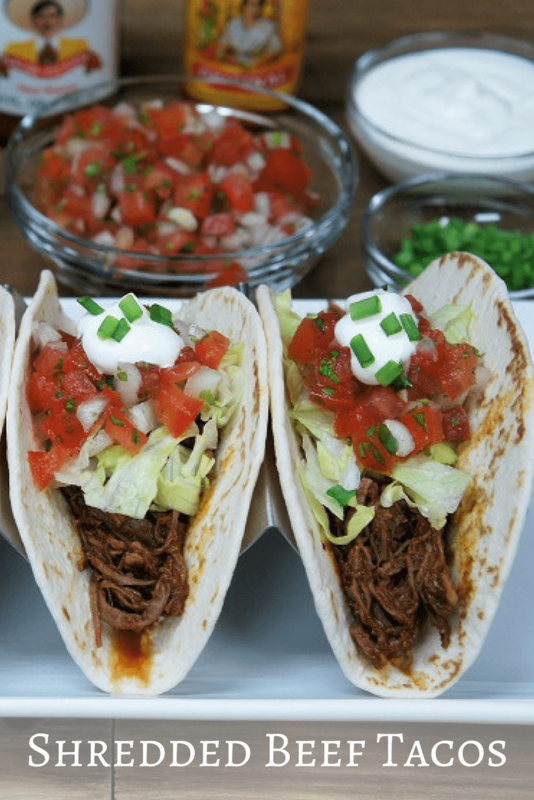 Shredded beef tacos are an easy and delicious way to shake up taco night. Flank steak is cooked in beef broth until tender and shredded. 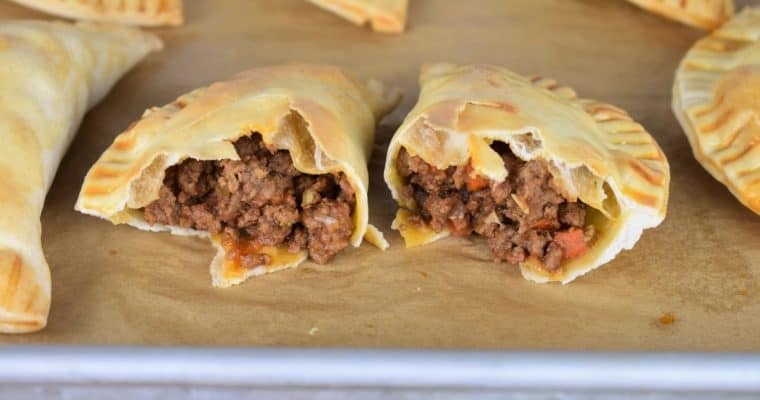 Then it’s added to a simple tomato sauce that flavored with a homemade taco seasoning mix. 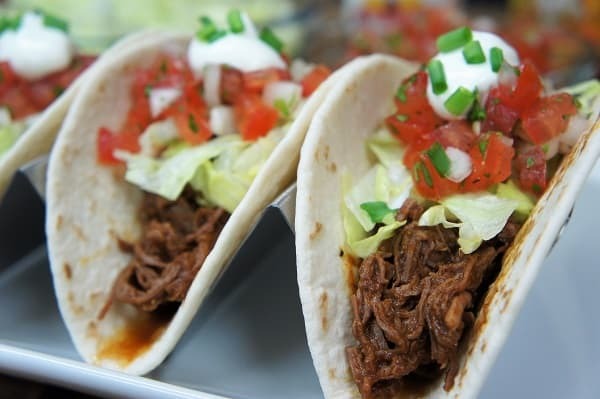 Serve the shredded beef on soft or hard tacos and dress them up with your favorite toppings. Enjoy! If the flank steak is in one large piece that doesn’t fit in the pot, cut it in 2 or three pieces so it fits comfortably without overlapping or folding over. Add the steak and beef broth to a large pot. Set the pot over high heat. When the broth comes to a boil, lower the heat to medium, cover and cook 15 minutes. Turn the steaks, lower the heat to medium-low, cover and cook 30 minutes. Keep the broth at a simmer, lower the heat a bit if the liquid is boiling too vigorously. Remove the pot from the heat, place the steak on a cutting board or pan and allow it to cool. Reserve the beef broth, we’ll add it to the shredded beef later. When the beef is cool enough to handle, shred using two forks. Add the tomato sauce, water and the prepared seasoning mix to a large, deep skillet over medium-low heat. Cover and allow the sauce to come to a simmer, stir occasionally. Add the shredded beef to the sauce, stir to combine well. 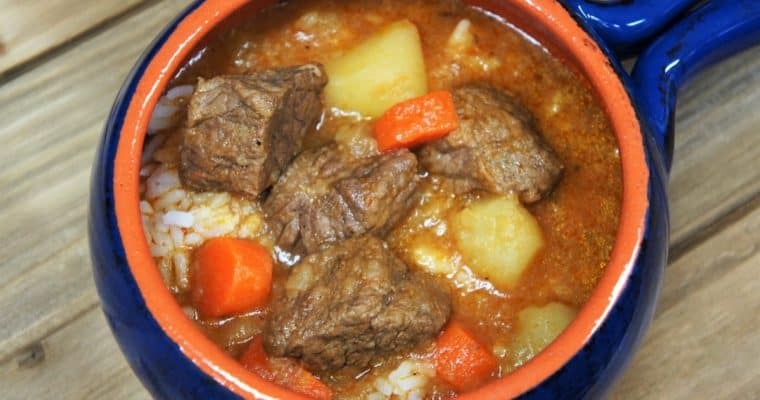 Add the reserved cooking broth a couple of tablespoons at a time and stir until the shredded beef is saucy, but not swimming in sauce. Note: The shredded beef will absorb the sauce so do this a few times. We used all of the reserved broth. Heat the shredded beef over low heat until warmed through, stirring occasionally. Build the shredded beef tacos and enjoy!